Hello again, sorry it’s been a while. Mook’s birthday and her Star Wars Themed Sleepover have kept me rather busy of the past week, but I’m really delighted to say that all the hard work paid off and Mook proclaimed her sleepover party to be the ‘best ever’ – high praise indeed! Mook has always favoured things that might be considered quite unusual for a young girl – for three years running I had to create Postman Pat cakes, all different – so it came as no great surprise to hear that this year she wanted a Star Wars themed birthday party. 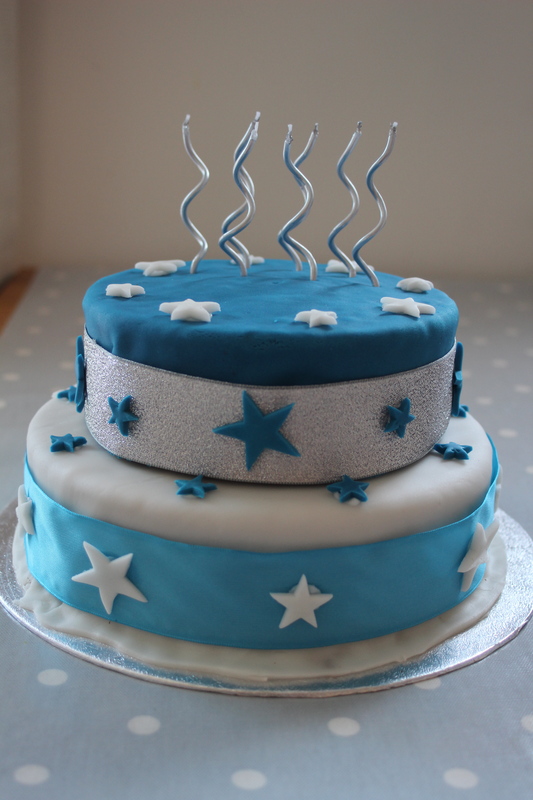 As a Star Wars fan *whispered* it was certainly more appealing to me than Postman Pat, but after scouring the web, and Pinterest, for inspiration for the cake I instead decided to simplify the design down to a blue and white star cake. I left a space on the front to place her favourite Star Wars character figure, and as blue is Mook’s favourite colour it was, fortunately, a big hit.